On this 14ft Elite + Model you can play the BERG trampoline Tattoo game together with your friends. 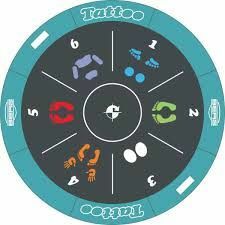 The colored icons on the BERG Tattoo trampoline mat represent the movements and trampoline jumps that you need to make. In the middle of the mat you can make any jump you like. If you are looking for a HIGH QUALITY purpose made In Ground trampoline the BERG Elite+ model is the trampoline for you. The BERG Elite+ In Ground trampoline is the top of the BERG range offering the strongest and safest materials for performance and durabilty. This range is available with two padding options, GREEN or RED and comes in a choice of three sizes, 14ft, 12.5ft and a smaller 11ft model is also available. The performance of the Elite + range is unrivalled. The safety enclosure is not included in this package but can be purchased. The BERG T-Series Safety Enclosure has been specifically designed for the ELITE+ range. It has a unique, innovative frame construction which enables it to fit flawlessly to the inground trampoline. This safety enclosure is strong, durable and looks great and is perfect if the inground trampoline is to be situated by a wall / fence / trees. It offers stylish peace of mind! 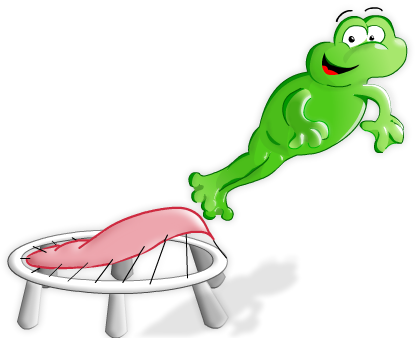 Here at Trampolines Online, we are passionate about delivering you top quality performance trampolines for amazing prices. 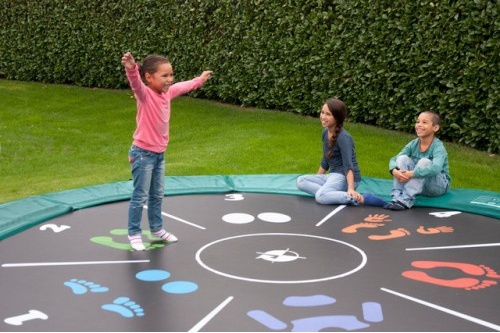 We believe that the in-ground ‘TATTOO’ trampoline is ideal for you and your children to enjoy yourselves. 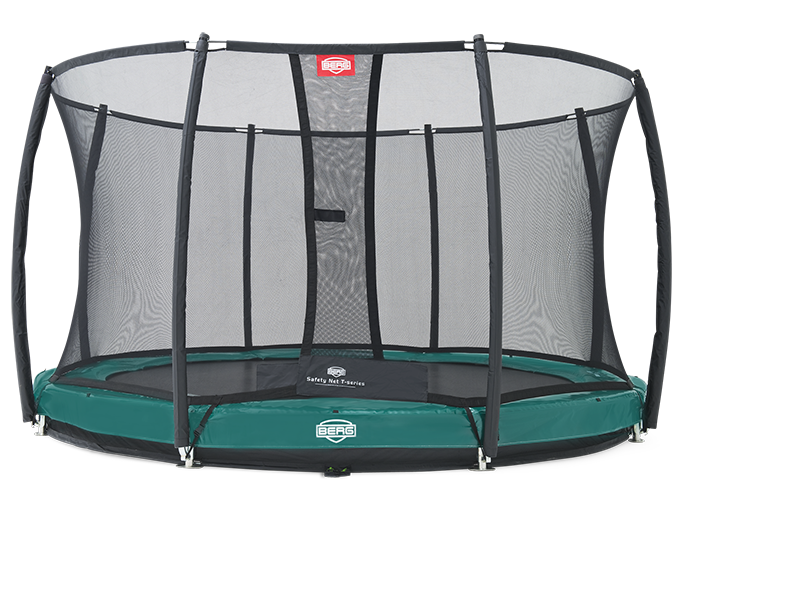 If you have any questions about the 14.3ft Elite+ BERG trampoline, give us a call on 0333 3660062 or you can email sales@trampolinesonline.co.uk. 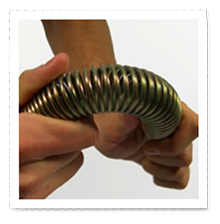 Needless to say, that Trampolines Online is one of the leading suppliers of online trampolines for sale.